I know it’s been said before, but we all know it’s going to be said again…probably in the next few minutes, so let me just get it out there; “It’s HOT!” I am not one to complain about warmth and sunshine and any excuse to sit by the pool…but sometimes you just need to cool down. My favorite way is with some refreshing summer drinks. My drink of choice is ice cold water, but sometimes you want a little sweetness with your cold drink, for those times try one or more of these yummy choices. I’ve been in a state of remodeling my house, I finally have a room to share! I would love for you to come check out my Living Room Remodel and leave me a comment on what you think. I am so in love with my new completed space! Needless to say it has taken all my time and energy and resources and cash to finish this room, so I don’t have a lot more to share…but it’s worth it! I can’t wait to see what you’ve been up to! We’d love it if you pinned the Refreshing Summer Drinks image above! Thanks for the feature and hosting a great party! Cheers! Thanks for sharing your awesomeness! Agh! My internet is too slow to add a link tonight, so I’ll come back in the a.m, when I’m somewhere with Wifi. Anyhow, thanks again, Marissa, for hosting the week’s party. This is one of my faves. Thanks for hosting Marissa! Love your party and all the features! Thanks so much for the feature this week! What a nice surprise. Love joining your party every week! Thanks so much for hosting the link up! 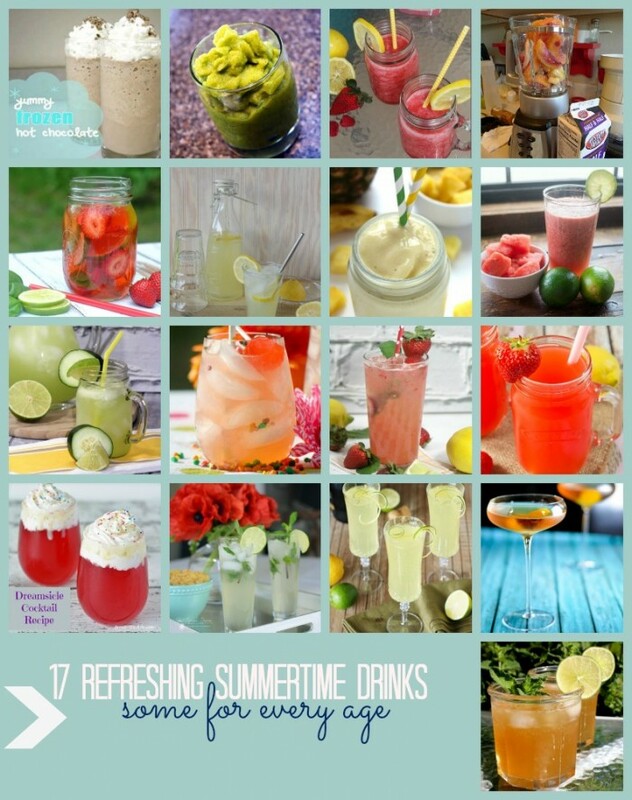 Such a great compilation of summer drinks! Can’t wait to try one or two!